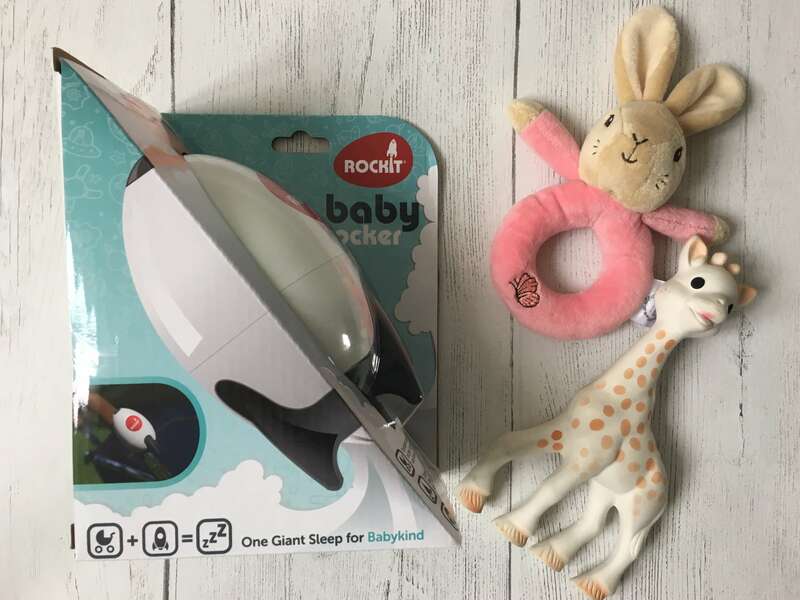 Rockit Rocker – One Giant Sleep for Babykind! I was saying just last week about how I love the fact that blogging allows me to try out products that I probably wouldn’t otherwise come across. I also love to be helpful, which is really part of the purpose of my blog; to help my readers to discover new things and decide for themselves what’s worth buying, and what isn’t. Well, when I was at the Baby Show last week, I was introduced to the Rockit Rocker. The Rockit Rocker is an ingenious gadget. That’s exactly what it is – a gadget. Yes, you probably could manage without it, but if it makes life easier, then why not?! The Rockit Rocker clips onto the frame of your pram and pushchair, and replicates the rocking sensation that your baby experiences when you’re pushing it along. Which means that if you’re out somewhere like the supermarket or in town and you stop – perhaps at the till or for a coffee, there’s no reason for your baby to wake up. They can continue to experience the lovely rocking sensation that they enjoy so much, provided not by your aching arm, but instead by the Rockit Rocker. See? Genius! 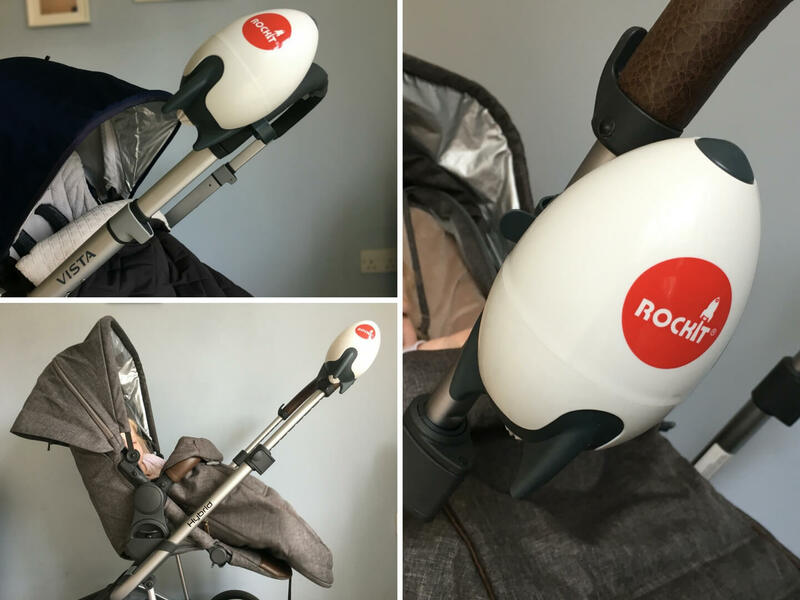 The Rockit Rocker comes with a universal strap so it’s compatible with any type of pushchair – I decided to put it to the test and tried it out on both my Uppababy Vista and my Hybrid Stroller. As you can see, it fitted easily to both, although I found it a fitted a little more firmly to the fabric part of the handle rather than the frame. Unfortunately, Little M is past the point of napping in her pram now – she simply won’t do it! She was still super excited to get in the Hybrid Stroller to try out the Rockit Rocker, though! While it’s not a toy, the Rockit Rocker has been tested to the highest possible EU safety standards for ages 0-36 months, so I can rest assured that she’s safe around it. I can’t wait for the new baby to come along so I can put it to the test properly. I think it might save me some stressful moments in the future! The Rockit Rocker retails at £39.99. Disclosure: I was gifted the Rockit Rocker in order to complete this honest review.